After all, “Chronicle” is, at heart, a great little superhero story, one that could be told just as effectively with standard aesthetics. It follows three teenagers – Andrew, Matt, and Steve – as they develop telekinetic powers after an encounter with a mysterious object. They find they can control objects with their minds, and as they grow more and more powerful, learn to shield themselves from physical harm and even how to fly. For Steve and Matt, these powers are all fun and games, but for Andrew, they mean something more. Andrew is an outcast, bullied at school, abused by his father, and losing his mother to cancer, and as his personal issues begin overwhelming him, he loses control of his powers, taking a dangerous turn down a very dark path. We’ve seen other superhero movies strive for realism (“The Dark Knight”), and others that examine the frailties of the human soul (“Hulk”), but none tackle these themes on the personal scale that “Chronicle” achieves. The film doesn’t exist in a heightened comic-book reality, but in our world, with characters that feel intimately familiar. If you’ve never known a person like Andrew, Steve, or Matt, then you’ve been one of the three at one point in your life, and their reactions to their newfound superpowers feel wholly organic at all times. 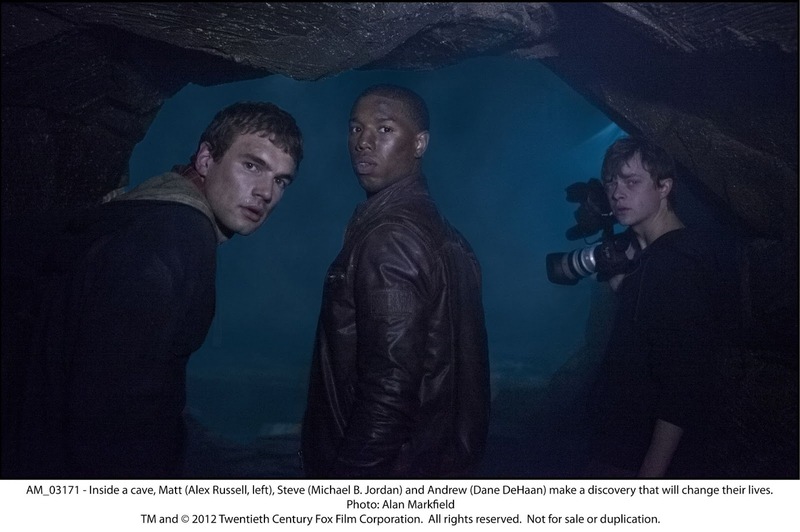 “Chronicle” never tries to tell a story bigger than these three characters. No super-villains emerge, the trio doesn’t start fighting crime, and there isn’t an intrepid reporter searching for a superhero scoop. The focus is wisely kept on these three boys, their relationships, and how they react to discovering superpowers, and despite its brief run-time, the film runs a remarkable emotional gamut. In particular, the main character’s arc is a work of narrative beauty. Andrew’s journey isn’t the simple archetypical struggle of comic books, but a complex, nuanced, realistic, and even relatable downfall that cuts deep in its exploration of the soul’s breaking point. 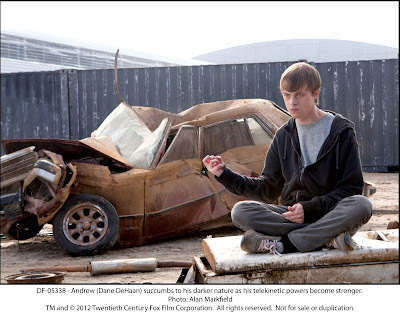 Andrew leads a troubled, painful life, and in one of the film’s smartest moves, superpowers aren’t a deus-ex-machina for him. His abilities don’t wash away his troubles, but instead act as a slow-burning fuse, igniting the darkest parts of his soul. 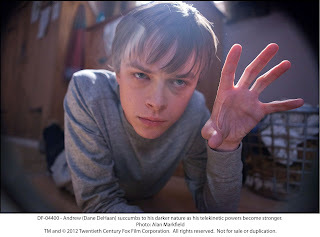 It’s a fascinating, perfectly paced arc, and Dane DeHaan is absolutely extraordinary in the part. It’s futile to describe his portrayal; he plays a human, one who is raw, recognizable, and real on every level, and just as humans are indescribably complex, so is DeHaan’s performance. Similar praise must go to his co-stars, Michael B. Jordan (Steve) and Alex Russell (Matt), who also turn in wonderfully natural and nuanced work. The three leads share tremendous chemistry, and it’s a joy to watch them interact, even in the simplest of moments. There’s really only one problem with the characters, and that’s that Matt is dreadfully underwritten, especially considering the crucial role he plays in the final act. Russell does a fine job with what he is given, but Jordan and his character are so much more charismatic and compelling overall that I feel the finale would pack an even bigger punch if Matt and Steve had their roles reversed. But on the whole, the narrative is fairly flawless. 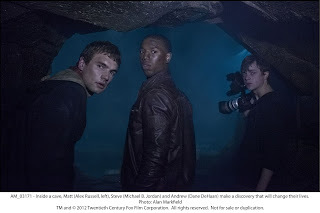 It’s the style that’s questionable, and while I’m not overly enthusiastic about the found-footage aesthetic overall, Trank does find a very smart excuse for why the main character films the world, and adjusts that excuse accordingly as the story moves along: at first, Andrew uses his camera to document the abuse he receives, from his father and the world. By filming his life, he’s vindicating himself, proving that he is indeed mistreated. Once Andrew and his friends gain powers, it’s only natural he record their ‘superheroics’ – wouldn’t you? Finally, Andrew returns to using his camera as vindication, but this time as the abuser, not the abused. All the while, the camera becomes one of Andrew’s obsessions; it’s a defining character trait. He fixates on meaningless things to distract himself, and as his life becomes increasingly confusing, he clings to his camera all the more slavishly. It is, simply put, the smartest, most insightful use of the POV technique so far, the first to actually function as an insightful piece of character development. Even then, Trank can’t justify every second of footage we see. There are individual scenes, and even long stretches, where it makes not a lick of sense that Andrew keeps on filming, and for certain sequences, Trank introduces a second POV character, a female love-interest of Matt’s, who seems to have no motivation whatsoever for filming the world. Trank really has to stretch – if not outright abandon – credulity in many moments to make the stylistic conceit work, especially in the final act, which is seen through many different kinds of footage (begging the obvious question – who ‘found’ it all in the first place?). And this is my core problem with entire found-footage genre. The technique is supposed to create a strong sense of reality, making logical gaps all the more glaring. When the viewer has no idea why or how cameras are rolling in a certain situation, reality is thrown out the window, and the entire narrative is undermined. The story and themes of “Chronicle” are built entirely around plausibility, making those confusing POV moments particularly troublesome. And so I return to my opening question: Does “Chronicle” work because of its aesthetics, or in spite of them? I still don’t know. 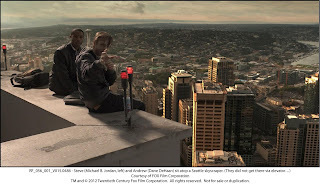 On balance, I would say “Chronicle” gains more from the POV style – particularly in the action sequences – than it loses, but I also think the story could be told just as effectively without the gimmickry. When it’s all said and done, though, the important part is that “Chronicle” does, in fact, work, even if I can’t put my finger exactly on how or why. Despite the limitations of the stylistic conceit, the film still hits hard, and lingers long after one exits the theatre. In the end, that’s all that really matters. 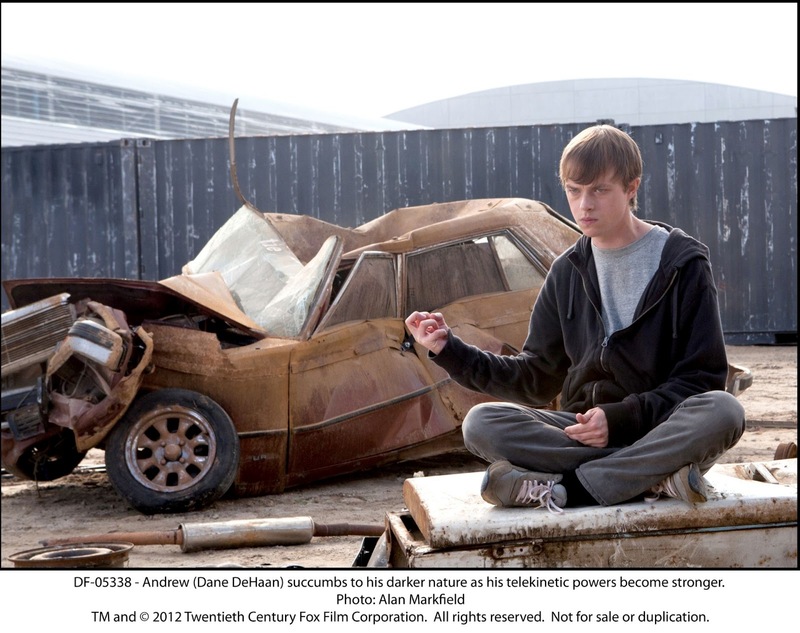 “Chronicle” is absolutely worth checking out.